507596689729039 Arrived in : Port Sekinchan. Next port: Kuala Selangor. Great show again tomorrow ? BonZema72 wow. Take over plan! Take over at what price? 507596689729039 Take over plan ? Where the news come from ? 507596689729039 Why so far no such news? Can it be Boiling Water ( pop.. po.. po... ) or Big Canon Fairy ( boom . boom .boom ) news ! 507596689729039 The Shark Big-Big (SBB) fish emerges again from the deep sea ! BonZema72 big fish run already? 507596689729039 Big fish strays in coral reef of Tanjung Karang, looking way out to Kuala Selangor. Ameera Jia lat... will drop more tomorrow? Jun Lim Ng come time to Fly...join now !! 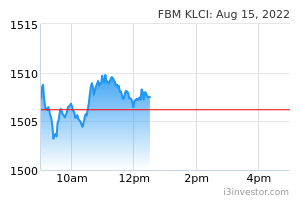 Kubistrader Fasten ur seat belt..
Jun Lim Ng Collect below 0.50....will touch 0.53/54 soon !! 507596689729039 Flush out another 5% of contra players then it will sail before the wind ! simon3618 bungkus la.... never stop dropping..
507596689729039 The big fish is in hot waters struggling in the coral reef. targetinvest ya this shark really jinasai max. Ameera 2.2k Big buy again 0.455 to 0.465... who is collecting? 507596689729039 I sold @ 0.46 & somebody immediately swallowed like hungry tiger. Really cry my eyes out. 507596689729039 I sold only half of my KSSC. The remain half will hold tight. 507596689729039 Boss demised. Koh Seng Lee take over ? 507596689729039 lawrgan, who is going to take over KSSC, after old CEO passed away ? Kubistrader Today also got big buyer entry.. more to go..
Kubistrader Weekly chart very nice.. come n join us. 507596689729039 All good things come to those who wait. Hundred patience makes gold.